Salad has become my regular lunch choice since my 2012 angioplasty. When I was still working in Chicago Loop, I would frequent a local salad bar. I had a choice of three near my last downtown office. Now that I work at home, I buy large boxes of spring greens at Costco and make my own salad at least three days a week, sometimes more. 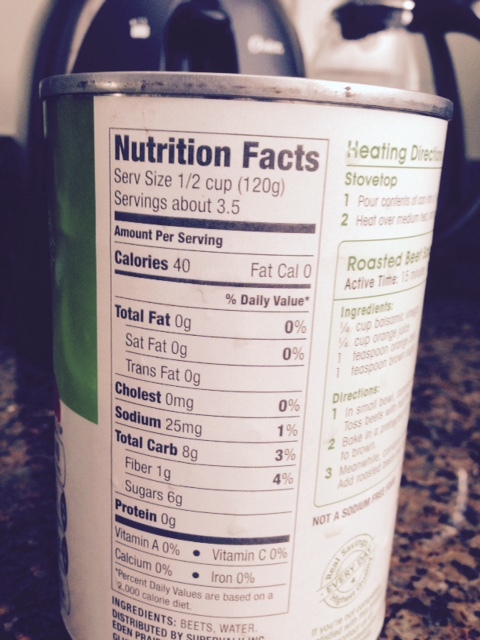 So I’m always looking for low-fat, low-sodium, low-sugar items to add. I regularly put on slices of portobello mushrooms, tomatoes, reduced-sodium olives and fat-free feta cheese. And I’ve gotten in the habit of cooking more protein than we’ll eat at a given dinner so I have some leftover salmon, chicken or ground turkey to add to my salad the next day as well. 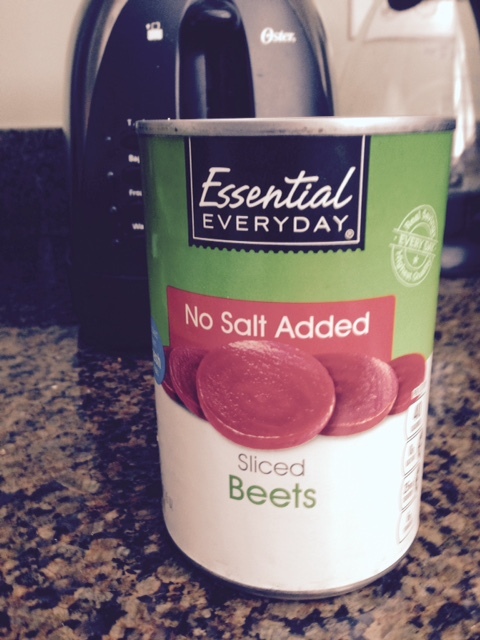 Look for no-salt-added beets to add to your salads. One item I routinely added at salad bars was slices of beets. But when I went to buy them at a supermarket I found salt hidden inside, 250 mgs per serving to be exact. I didn’t want all that salt from something so innocuous, so I’d given up on beets until recently. That’s when I found a sodium-free beets alternative at my local supermarket. The salt-free store brand has only 25 mgs of sodium in a third of a cup of beets, a massive reduction compared with other canned and jarred beets. I enjoy them immensely and recommend them for the taste, as well as whatever health benefits you think may derive from them.